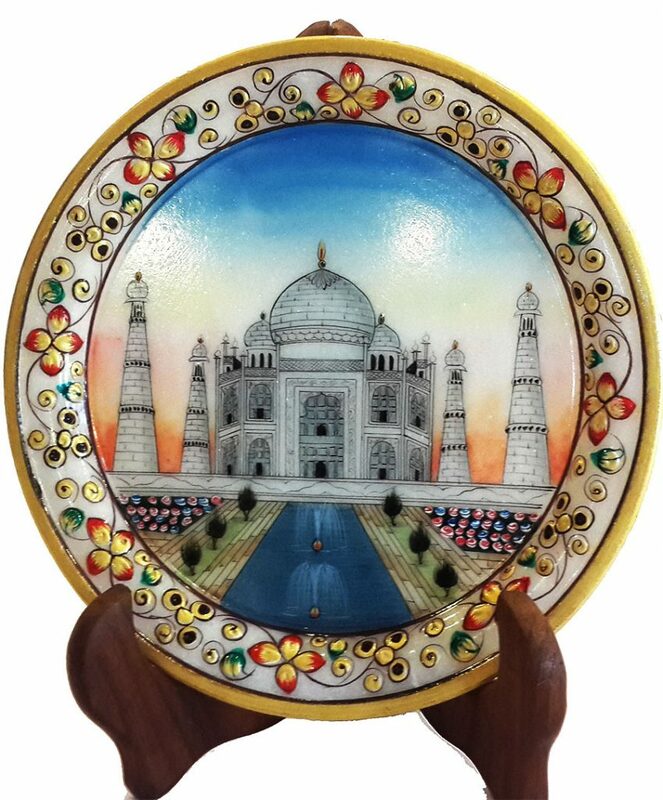 This hand crafted Plate contains intricate artwork that is done without using any mold. 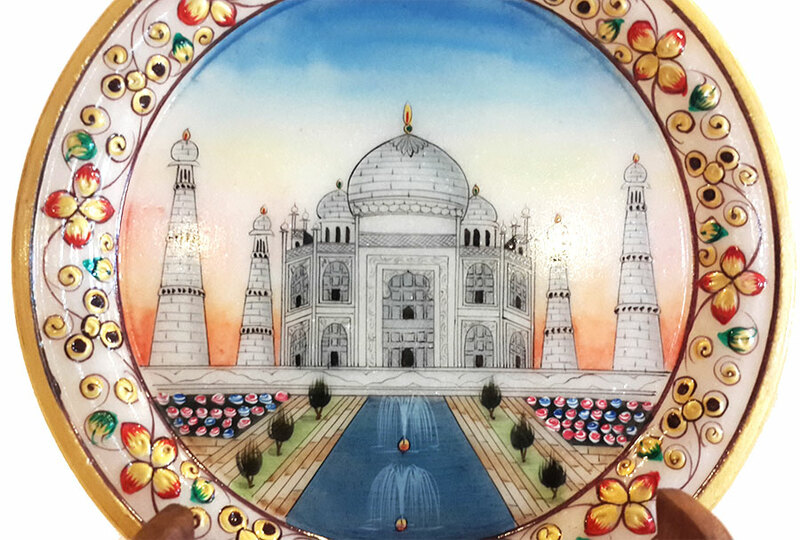 This Plate reflects the immense concentration & creativity of our craftsmen, and can also be gifted to on any occasions.Available in white finish, this handicraft made using quality marble, adds royal heritage look and is an excellent choice to decorate your living room, house, office, reception, hotel or lobby. This hand crafted Elephant contains intricate artwork that is done with Real Meena Stone and without using any mold. 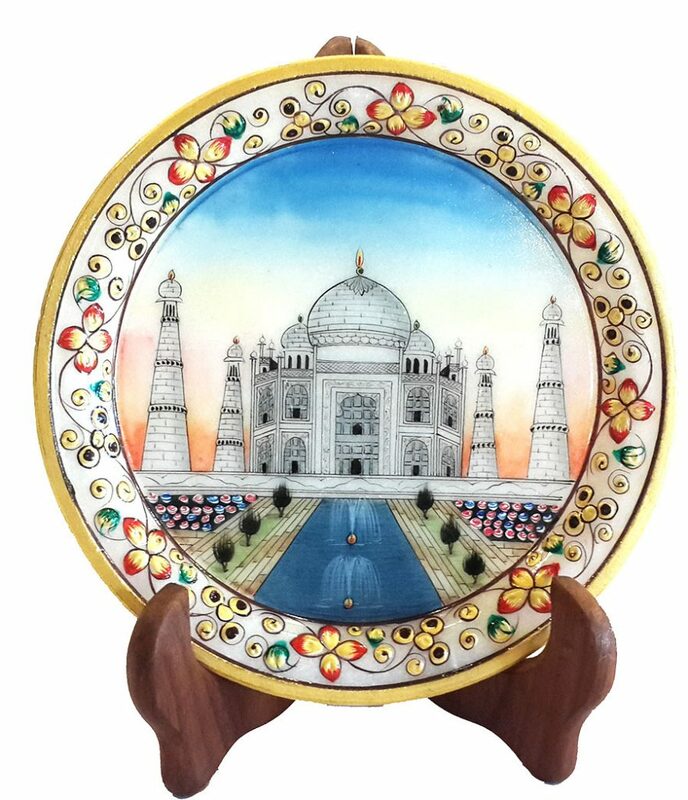 This Plate reflects the immense concentration & creativity of our craftsmen, and can also be gifted to on any occasions.Available in white finish, this handicraft made using quality marble, adds royal heritage look and is an excellent choice to decorate your living room, house, office, reception, hotel or lobby.